The aim of the Quality Innovation Award (QIA) is to promote innovative projects based on five key characteristics: novelty, utility, learning, customer orientation and affectiveness. 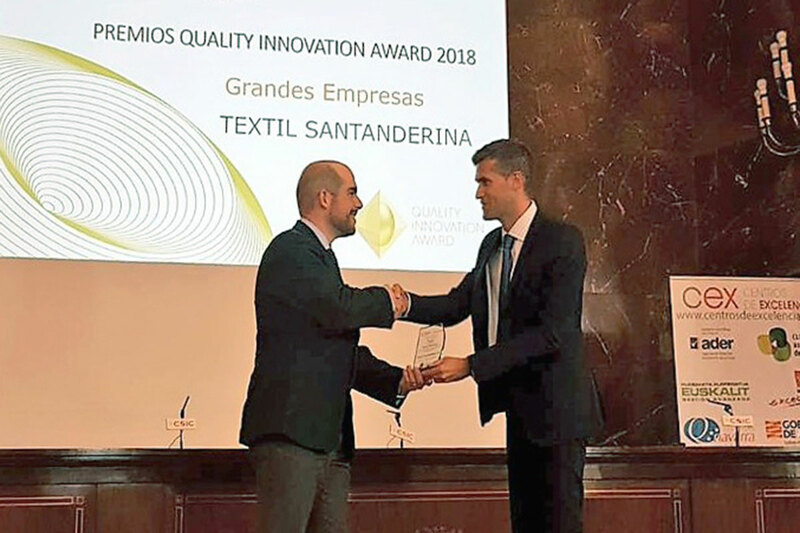 Textil Santanderina has won this award as recognition of the integration of pioneering control systems in the textile industry, with complete traceability of the quality of the yarn, monitoring and location of assets and computerisation of production (SIMCA project, SICABA project, Lean Manufacturing project and TPM). As a result of this award, the candidature will go on to an international competition with the winners from 18 other countries. The holding of the Quality Innovation Award (QIA) presentation ceremony on 27 November 2018.